France, Spain and Portugal agreed Friday to build an undersea power line in the Bay of Biscay as they up electricity links aimed at helping the Iberian peninsula out of its energy isolation. Speaking after a meeting in Lisbon, the three country leaders welcomed a deal signed on the sidelines of the gathering on financing construction of the 370-kilometre (230-mile) long power line linking France to Spain. It's "a very important step," said Portuguese Prime Minister Antonio Costa. The European Commission will finance 30 percent of the project by bringing 578 million euros ($675 million) to the table, an unprecedented amount in the European Union for an energy project. The power line should start operating in 2025, almost doubling the capacity for electricity exchange between France and Spain. 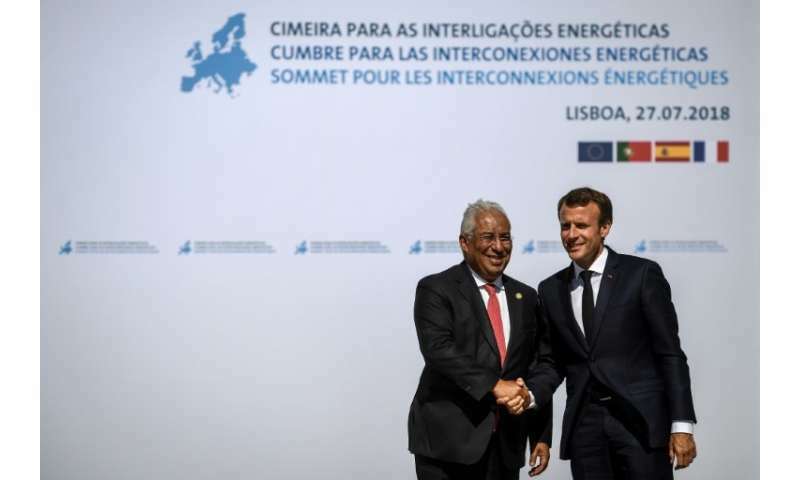 Spain and Portugal have long called for an end to their isolation from European networks of electricity and gas distribution. Portugal has a surplus of electricity production that it could export further afield than Spain if there were more links with the rest of Europe. Madrid and Lisbon would also like to be better connected to the European gas market by building a pipeline in Catalonia in Spain's northeast. That would complement another pipeline that has already been built west of the Pyrenees mountain range, linking Spain to France. Both countries import gas from Algeria via a pipeline that became operational in 2011. They also have seven ports that can handle liquified natural gas (LNG), which they import from Qatar and increasingly from the United States as it develops shale gas. They say better connections would reduce Europe's dependence on Russian gas. But a study commissioned by the European Commission found that the pipeline in Catalonia, which would cost more than 440 million euros, would not be viable given other European countries already have many LNG ports that aren't operating at full capacity. As such, France has been reticent. But French President Emmanuel Macron said Friday he was open to moving forward on gas, although he cautioned "we will only build more pipelines if gas consumption in Europe remains significant." He said the pipeline in Catalonia would be built if it were shown to be cost effective in a scenario where demand for gas would increase as coal power plants are progressively shut down.